Last night, over 400 guests attended the 2014 MAD ball hosted by the Museum of Arts and Design, honoring artist Michael Aram, artist Richard Dupont, gallerist and collector Barry Friedman, and design house Ligne Roset. This year's ball also inaugurated the Makers Showcase, a platform where chosen artists presented live demonstrations, including the works of photographer Benjamin Fredrickson, pastry chef Olivier Dessyn, and ceramicist Zack Davis. Check out our slideshow for more photos from the event! 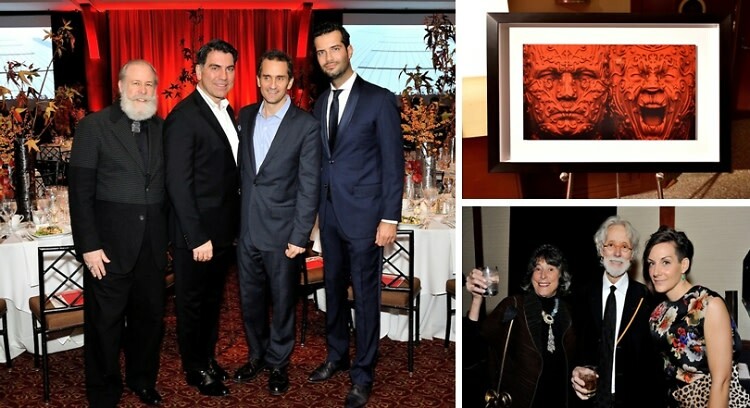 Who was there: Guests included Richard Dupont, Michael Aram, Barry Friedman, Antoine Roset, Silas Weir Mitchell, Wendell Castle, Reed Krakoff, Dror Benshetrit, Sebastien Errazuriz, Bec Brittain, William and Steven Ladd, Zach Davis, Marc de la Vega, Amy Lau, Tracy Williams, Christina Grajales, Marc Benda, Glenn Adamson, Lowery Stokes Sims, Ron Labaco, Jerry and Simona Chazen, Barbara Tober, Emily Frick, Kristen Naiman, and Ron Pizzuti. Go HERE for more photos by Stephen Smith and be sure to tag yourself and your friends!